in Vijay's career. Not just that, the film has set new records for a non-Rajinikanth's film in both domestic and overseas markets. Critics and audiences have praised Atlee, who directed Mersal, for striking the right balance between the action and emotional segments of the film. The flashback portion, in particular, has become a major highlight of the film in the Tamil version. Meanwhile, the film's Telugu version, Adirindhi has been censored at UA and scheduled for a worldwide grand release on November 9th, 2017. Sharrath Marar's Northstar Entertainment, which is releasing the film in Telugu, has gone all out to promote the film, and Adhirindhi is expected to release in close to 400 theatres, which is another record for a Vijay's film in Telugu. Thenandal Studios Ltd, has produced the film, hands over the censor certificate and content. 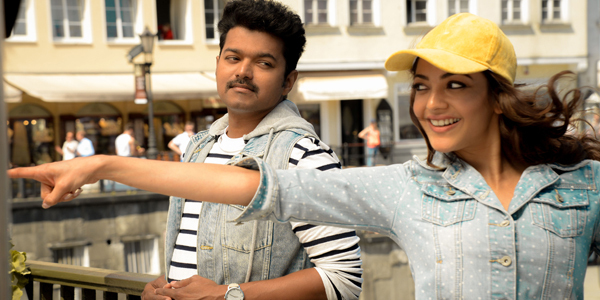 With such massive hype and buzz surrounding the film in Tamil Nadu, the expectations are quite big among buyers and audiences alike for Adhirindhi as well. All in all, Adhirindhi is all set to strike big at the box-office soon.